We often get asked at what age can a child decide which parent they want to live with, or at what age a child can decide whether they want to visit the non-custodial parent or not. Short answer—there isn’t a magical age and the child never gets to make those decisions on their own. This doesn’t mean that a child’s preference has no place in custody and visitation decisions. In the Arkansas custody laws, it says that in determining the best interests of the child, the court may consider the preferences of the child if the child is of a sufficient age and mental capacity to reason, regardless of chronological age. This applies to visitation as well. So if your child is old enough to articulate a valid preference, and can explain why they have that preference, the Judge can take that into consideration when making custody and visitation decisions. Again, that doesn’t mean they get to choose, it means the Judge can consider it, along with many other factors. 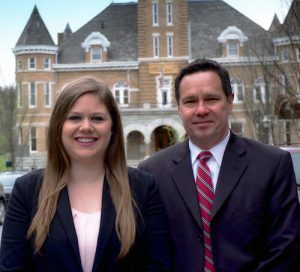 Our family law attorneys would be happy to discuss your child custody matter with you and answer any questions you may have. Give us a call at (479) 443-1812, email us at info@hudsonlawfirmnwa.com, or send us a message below.